SUAVV Magazine returns for its relaunch issue. 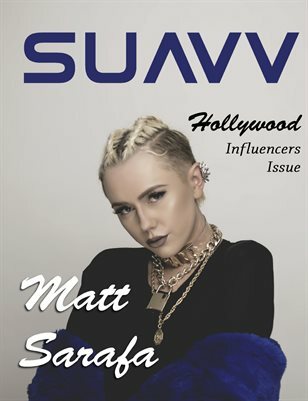 The Hollywood Influencers issue touches on all aspects of Hollywood, from Fashion Designers, Actors, Singers, to Directors, and Party Promoters. As always, we provide our readers will find numerous points of manhood. Read and enjoy.